Today I got to spend a fabulous afternoon at Page Turners Camp in Saratoga Springs. 15 campers spent the day doing Bearhaven-inspired activities (Freeze-Bear, bear yoga, making bear fact posters etc.) culminating in a question and answer session and book signing with me. Talk about an author’s dream come true. I always love talking to readers about Bearhaven, but the icing on the cake today was getting to do this with Northshire Bookstore. 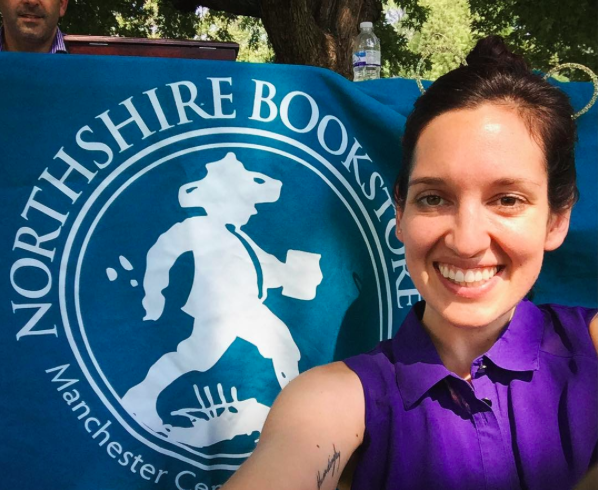 I grew up going to the Northshire in Manchester, Vermont, and have written or edited sections of all four of the Bearhaven books there. I always hoped to have a book on the Northshire shelves, but it never occurred to me that their summer camp might dedicate a day to my series!